Gabriel has experience in business and commercial, financial services and property disputes often involving fiduciary relationships with allegations of mis-selling, undue influence claims, and fraud. 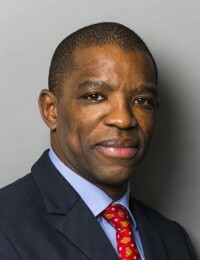 His experience spans cases involving collective investment schemes, claims involving “Ponzi” schemes, lifetime mortgages or equity release schemes and a range of commercial disputes involving guarantee claims, and contractual issues. His work often has international aspects, with an emphasis on Africa and the Caribbean. Much of Gabriel’s work cuts across traditionally defined disciplines. He combines intellectual rigour and attention to detail with a down-to-earth, common sense approach to litigation. As a result, Gabriel is often praised by clients, solicitors and judges for his ability to think outside the box. While a fierce advocate in the courtroom, Gabriel is ever-conscious of the practical and commercial needs of his clients. He is regularly instructed to assist in mediations and other forms of alternative dispute resolution. In addition to advising and appearing as an advocate, Gabriel has been instructed as an expert on English Law and procedure in a dispute between members of an overseas royal family, and as Special Counsel by the indemnity insurer of well-known City-based solicitors investigating suspected fraud by a number of the partners. Gabriel has also sat on the Disciplinary Tribunal of the Bar Standards Board. Gabriel is fluent in French (with a Master’s degree in Commercial Law from the University of Bordeaux). He has basic knowledge of Spanish. He has also worked for Simpson Grierson solicitors in New Zealand.